Do you want to make your room more stylish and elegant? With elegant and luxurious appeal, this set of 2 bedroom sheer curtains is a smart choice for you. The generous width of the tailored sheer curtaind gives it a rich, full look. Your room will no longer be ordinary with this set of high quality material lined tailored curtain. This tailored curtain keeps hard light out effectively as well as makes sure your room have enough light. 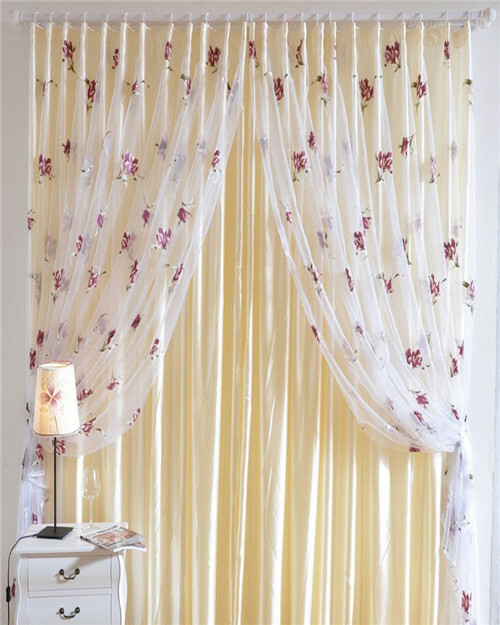 Tulip flower pattern has been delicately designed on these window curtains, giving them a quaint, charming look. effectively as well as makes sure your room have enough light.